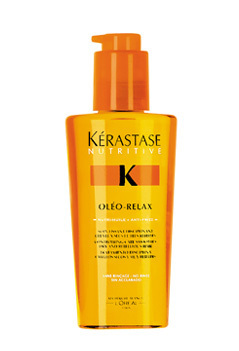 Karastase Serum Oleo-Relax Smoothing Care to discipline dry, frizzy unmanageable hair. Controls the hair with long-lasting smoothness. Hair feels smooth, manageable and shiny. Contains Nutri-Hulle Complex and Anti-Frizz Protection Formula.